One small click each day could have an enormous impact on empowering those with disabilities. Every month, the Center for Independent Living is eligible to be SunState Federal Credit Union’s “Charity of the Month” – and to receive a donation of $1,000. All it takes is a vote on Facebook to get started. 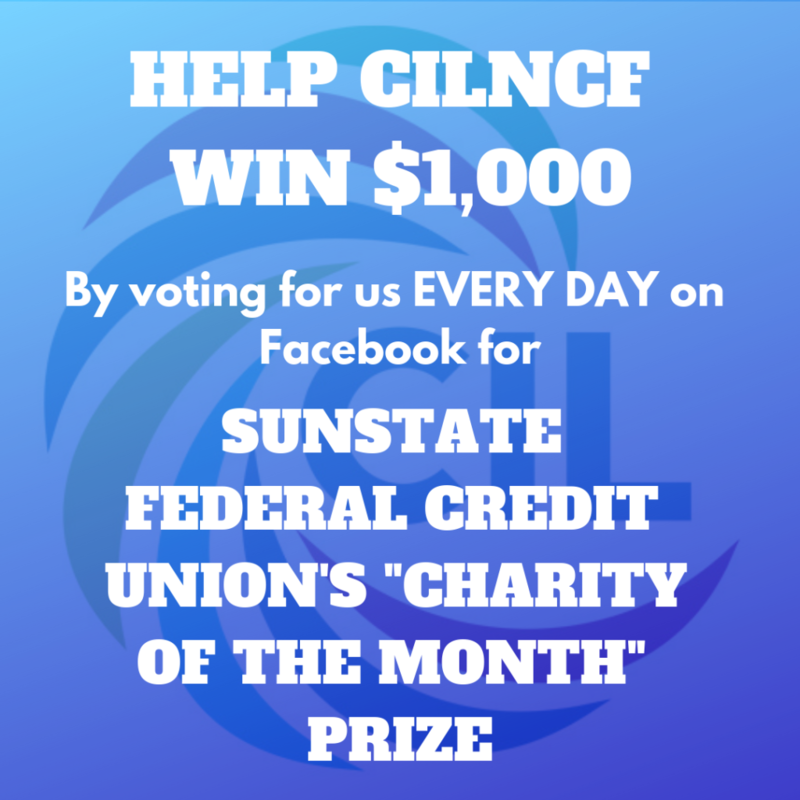 Visit https://www.facebook.com/SunStateFCU/, scroll down the page and click on the “Charity of the Month” tab, locate the CIL icon, and cast your vote. Facebook users can cast one vote every day, each day of the month. The charity with the most votes at the end of the month will receive a $1,000 donation and be profiled in SunState Federal Credit Union’s Our Town Magazine. Charities are also eligible for a randomly selected $500 donation. The more votes received each month, the better the chance of receiving that month’s $500 donation. This April, remember to set an alarm, post a sticky-note reminder, and vote for the Center for Independent Living for “Charity of the Month”!